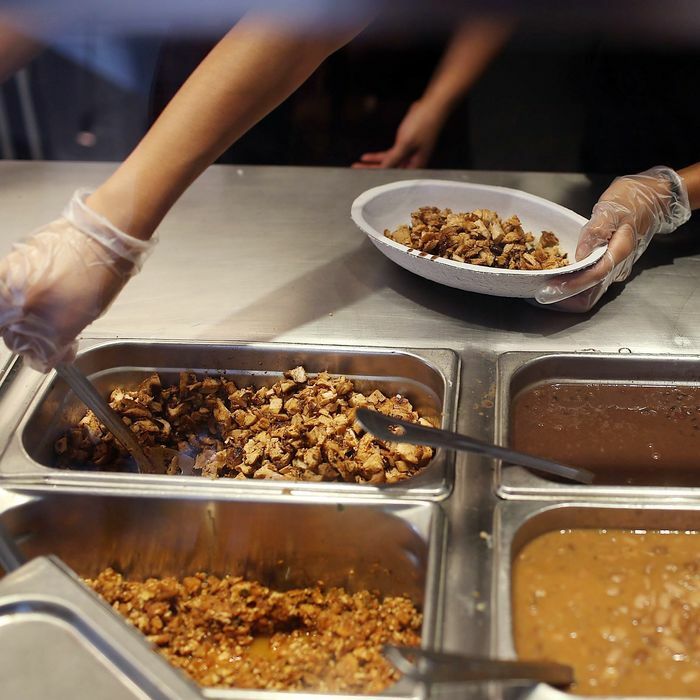 Chipotle’s rain-check burritos may have just proven there is such a thing as a free lunch. The chain posted its first-ever quarterly loss Tuesday (the final tally came to $26 million in the red), and during the earnings call, executives were forced to acknowledge they’d overestimated the payoff that 25 million free burritos would have by just a teeny-tiny bit. But as pros in situations like these, they tried to remain upbeat, announcing they’d already identified two new, hopefully more foolproof, strategies to lure customers back. The first is to put chorizo on the menu. The second is to introduce some sort of loyalty program — sort of the carnitas-and-guac version of Pavlovian conditioning. The executives outlined worrisome data they’d seen that suggests Chipotle is now hemorrhaging its “top, loyal customers.” The number of people in this group who haven’t stuck so much as a toe in a Chipotle for three full months is now 57 percent, up from 49 percent the last time they measured. The chain explained the rewards program would be temporary, aimed at getting people back in multiple times per week, and would hopefully give these erstwhile burrito-philes a reason to visit again. Chorizo is cheap, so that idea is probably fine, but the loyalty-program thing seems trickier. And chief development and creative officer Mark Crumpacker told investors the program is still so early in development that he couldn’t even offer details on how it might work. So here’s one idea: Now that Starbucks reward-program members are all hacked off as well, make a classy-looking gold card that entitles customers to a free Starbucks drink after every tenth visit. Then everybody wins.